Disney Interactive has released even more images from the upcoming Disney Infinity 3.0: Star Wars showing of gameplay elements from the “Rise Against The Empire” playset, which will take players on galaxy-spanning missions with legendary Jedi Luke Skywalker, Rebel leader Princess Leia Organa, heroic smuggler Han Solo and his trusty co-pilot Chewbacca to help defeat Darth Vader and overthrow the evil Galactic Empire. Players will be able to explore open world planets like Tatooine on foot or on a Bantha, take down AT-AT walkers aboard a snowspeeder on Hoth, out-maneuver stormtroopers on a speeder bike on Endor, and partake in epic space battles in an X-wing starfighter to destroy the Death Star. 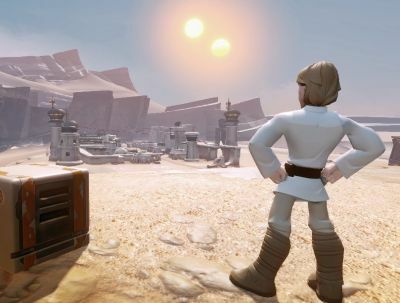 Disney Infinity 3.0: Star Wars will feature three “Star Wars” playsets, also including: “Twilight of the Republic,” an all-new, original chapter of the Star Wars Saga, set in the Episodes I-III timeline; and a third playset based on the upcoming Star Wars: The Force Awakens will be coming later this year. Confirmed figures for the game so far include Luke Skywalker, Princess Leia Organa, Han Solo, Chewbacca, Darth Vader, Obi-Wan Kenobi, Yoda, Anakin Skywalker, Ahsoka Tano, and Darth Maul, and unlike previous “Infinity” titles, players will be able to use every “Star Wars” character in every “Star Wars” playset. 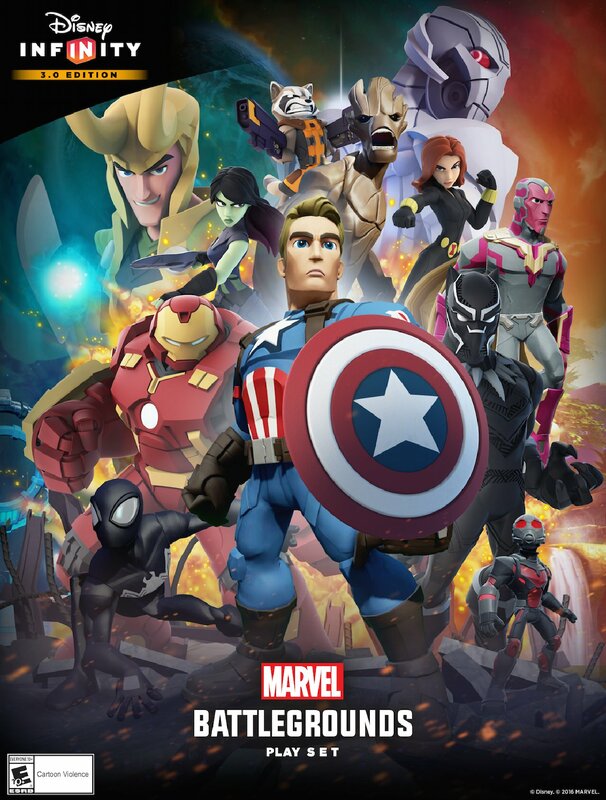 Outside of the Star Wars galaxy, Disney Infinity 3.0 will also introduce new playsets for Marvel, including Hulkbuster Iron Man and Ultron from the recent Avengers: Age of Ultron, and the upcoming Disney•Pixar animated feature Inside Out, plus the long-awaited figures from TRON: Legacy!